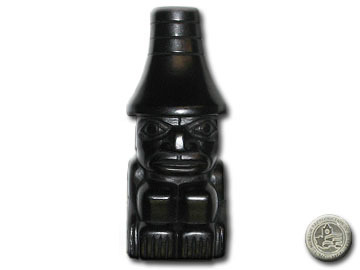 Argillite – Watchman – VII B 1918. 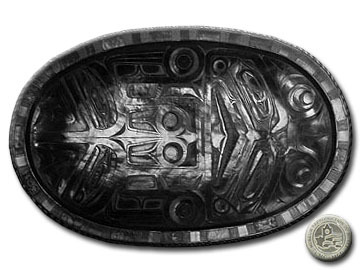 Argillite – Sculpin Platter – VII B 1938. 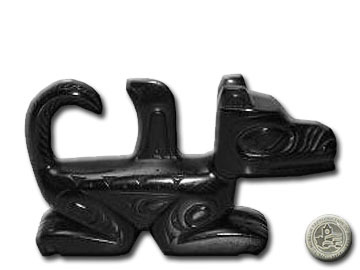 Argillite – Killer Whale – VII B 1915. 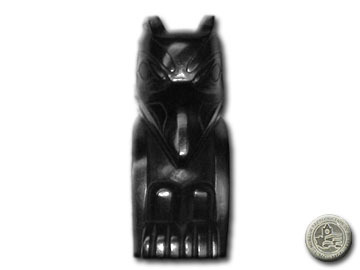 Argillite – Bear – VII B 1916. 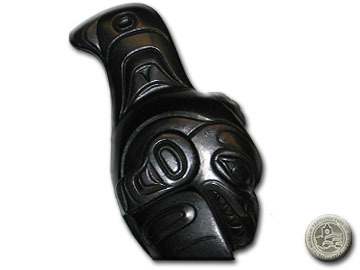 Argillite – Raven – VII B 1913. 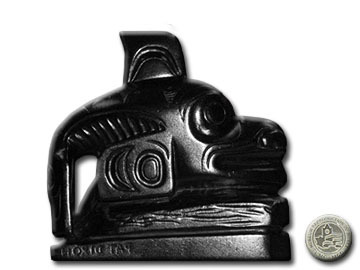 Argillite – Totem Bear with Salmon – VII B 1408. 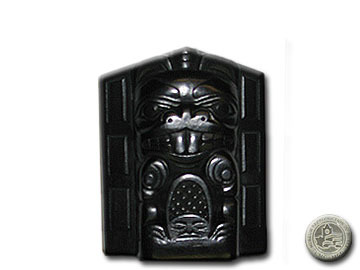 Native Argillite keychain – VII B 1918/ VII B 1915. 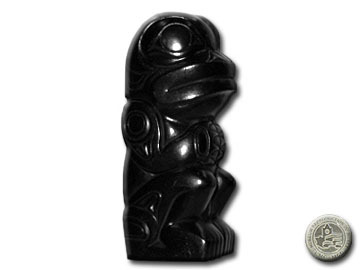 Argillite – Frog Bishop – VII B 1914. 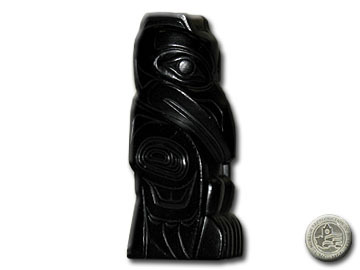 Argillite – Totem Raven transformed in Killer Whale – VII B 1907. 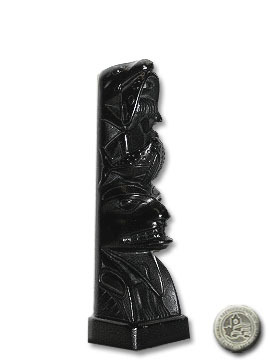 Argillite – Totem Sea Wolf – VII B 1919. 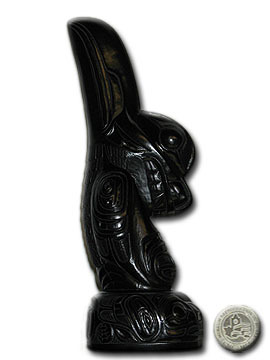 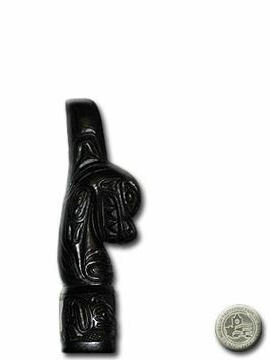 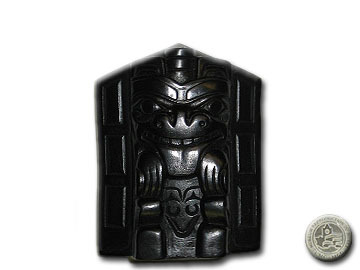 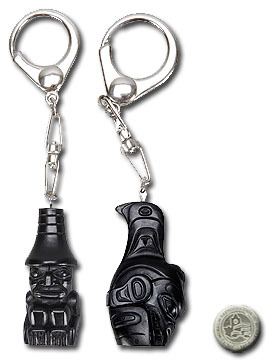 Argillite – Totem of Killer Whale – 3″ VII B 1920. 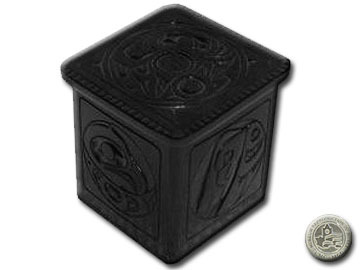 Argillite – Sea Monster Box – VII B 1910.